Every year I promise myself I’m going to chop off my hair and get one of those cool choppy bobs. (Ever since I saw Terence Trent D’arby’s Sign Your Name video back in the 90s!) But I just can’t do it! So until I gather the cojones, I will keep my hair long but work on keeping it healthy, shiny and strong! I have found that infrequent blow drying (for shine maintenance), supplements (for hair health) and gelatin (for hair growth) have been the keys to hair success. Now let’s get into the details! Anyone who is concerned with hair/skin/nail health already knows that biotin has been the go-to supplement to amp up beauty. And I’m not poo-pooing its beneficial properties. Biotin plays a crucial role in achieving healthy hair, skin and nails! 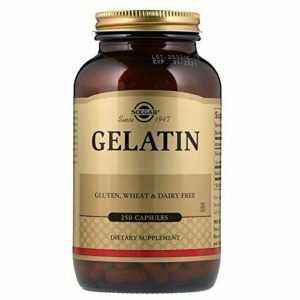 But in this blog post, I will tell you that many (including myself) have been turning to gelatin to get their hair long and healthy, their skin glowing and their nails strong. It turns out that biotin and gelatin both have their unique benefits and can work together symbiotically. 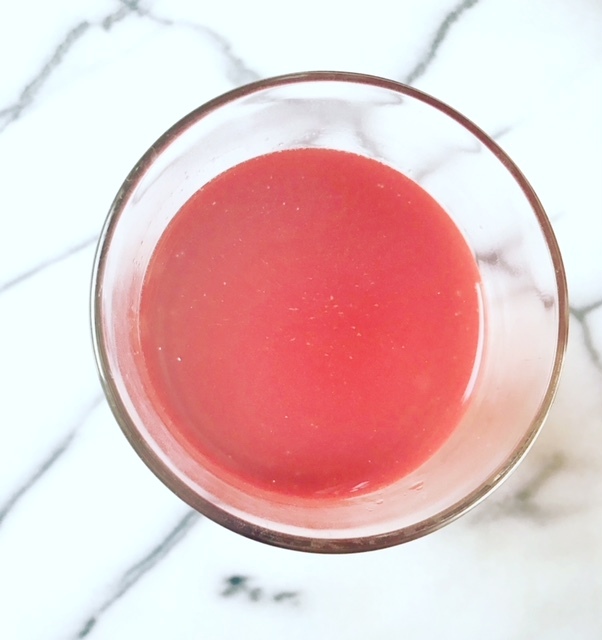 I have sung the praises of Great Lake’s Gelatin before — and I also now have a new obsession with YouTheory’s Collagen powder! Yes, for hair health but also to reduce signs of aging. But what is gelatin in the first place? Gelatin is a protein derived from collagen (when you cook collagen, you get gelatin), and has a unique combination of amino acids. It has become popular over recent years, especially for the role it plays in brain function, joint health, and healthy skin, hair, and nails. Collagen is well-studied for being the most abundant protein found in all animals (humans included), primarily in bones, tendons, ligaments, and skin. You can think of it as basically providing structure to our tissues, such as skin flexibility and tendon strength. You won’t get collagen by just eating meat or animal products because it is found in parts of the animal that aren’t directly edible (like bones). 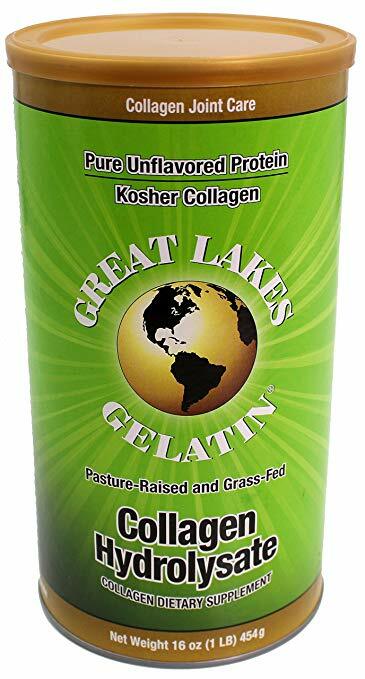 Collagen is extracted and gelatin formed by cooking broth from the bones and body parts of animals. Gelatin has a thick, jelly-like consistency when cool, but dissolves when heated. This is why your broth will become congealed when you put it in the fridge. Gelatin is recommended for joint and ligament pain (hello Torn ACL! ), arthritis (which is why I give this to my mom), digestive issues (I used to have plenty) and yes – skin, nail, hair health. These are my favorite types of gelatin for hair growth. Not just for its efficacy but for the ease and simplicity in the intake. You can take gelatin in the form of powder, pills — or a hair mask! 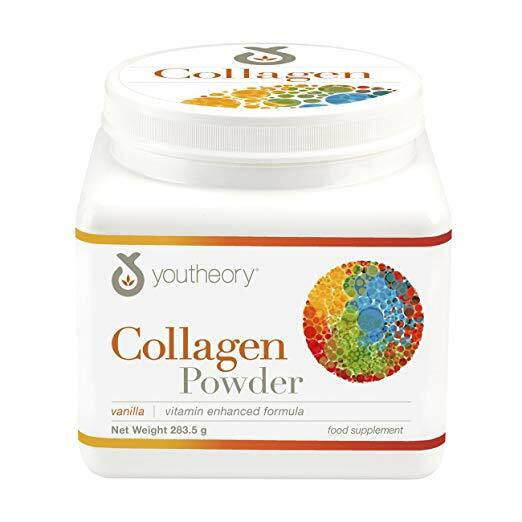 YouTheory Collagen is pretty rad and super well equipped. Their formula is enhanced with Vitamin C to promote internal collagen production and Biotin to support factors important to health and beauty. It’s kind of a great all-in-one! 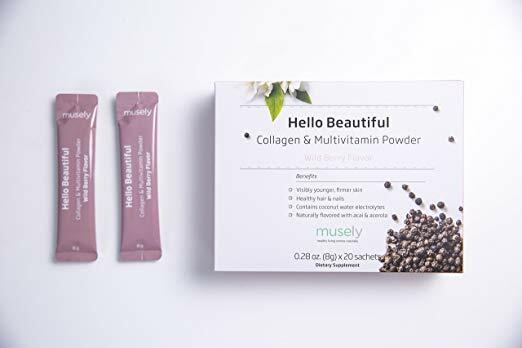 Another brand I like is Musely’s Hello Beautiful Collagen Powder. I add the unflavored one to my bulletproof coffee — but I add the berry one to water and use it to wash down my supplements! Kill two birds, right?! VITAL PROTEINS is another very popular brand – and it’s grass-fed and clean. I just haven’t tried it yet. It’s on my list! 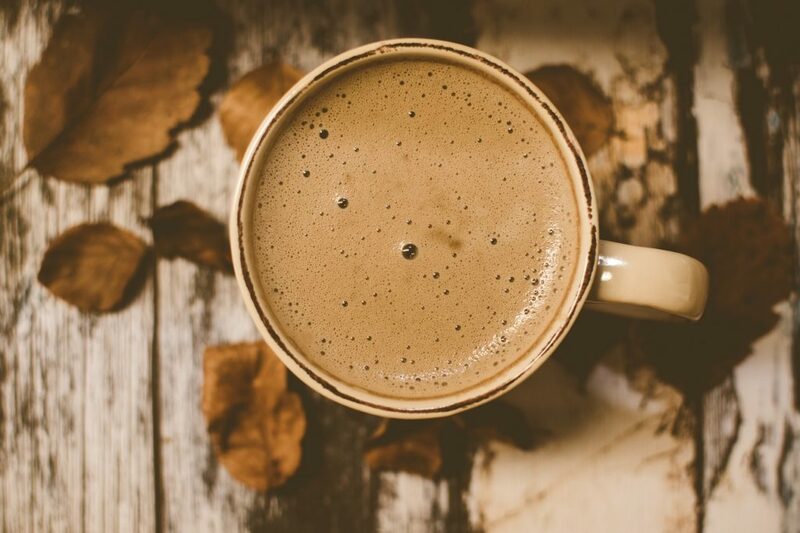 Here’s a recipe to my bulletproof coffee! All you have to do is add a tablespoon or so of gelatin (see above) to your drink — and Voila! You’re golden! I know that not all of us have time to actually make food — so sometimes it’s easier to just pop down supplements. SOLGAR is a brand that I trust – and Whole Foods is always bound to carry it. If you really want to up your gelatin intake, then just add them to your supplement regimen. 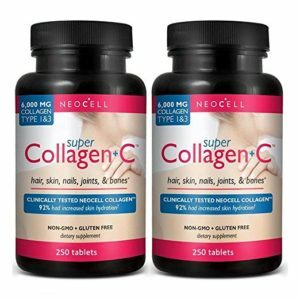 NEOCELL is another great reputable brand. I actually discovered it through one of my NEW HOPE BLOGGER BOXES! 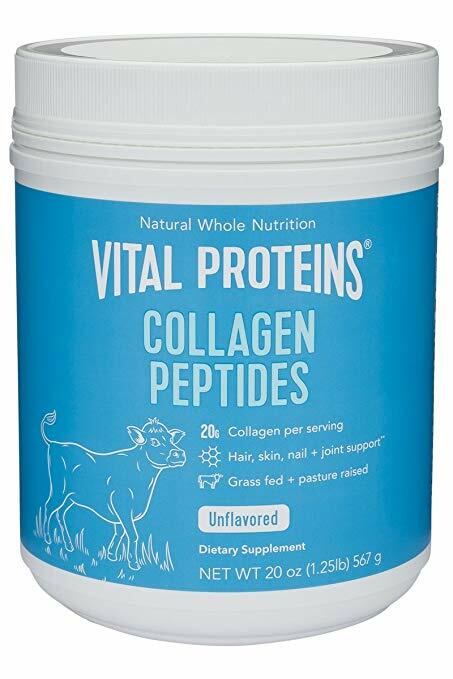 The collagen peptides in this Super Collagen support collagen in tendons, ligaments, hair, skin, nails, and lean muscle. You read that right! A gelatin hair mask!! And the best part is that you can make it yourself. All it requires is 1 T of gelatin powder, 1/2 cup of cool water, 1/2 cup of warm water, 1 tsp of apple cider vinegar and 1 tsp of honey. Mix 1 tablespoon of gelatin powder in 1/2 cup of cool water until it’s thoroughly mixed. Add 1/2 cup of warm water, the apple cider vinegar and the honey to create a thick gel. Massage it into the hair and scalp and leave it on for 5 minutes. Voila! Rinse with warm water and shampoo as normal. Aside from the aforementioned benefits of gelatin for hair growth and skin and nail health, gelatin can also be a helpful tool for weight loss! It is high in protein and low in calorie — so it can help satiate the consumer which decreases the likelihood of overeating. Plus – gelatin may also play a role in controlling hormones associated with hunger. It also helps with cellulite! ++ And there you go, beauties. The secrets behind gelatin and the power it holds. Drink up, wash it down, mask it in — just get in with the trend.